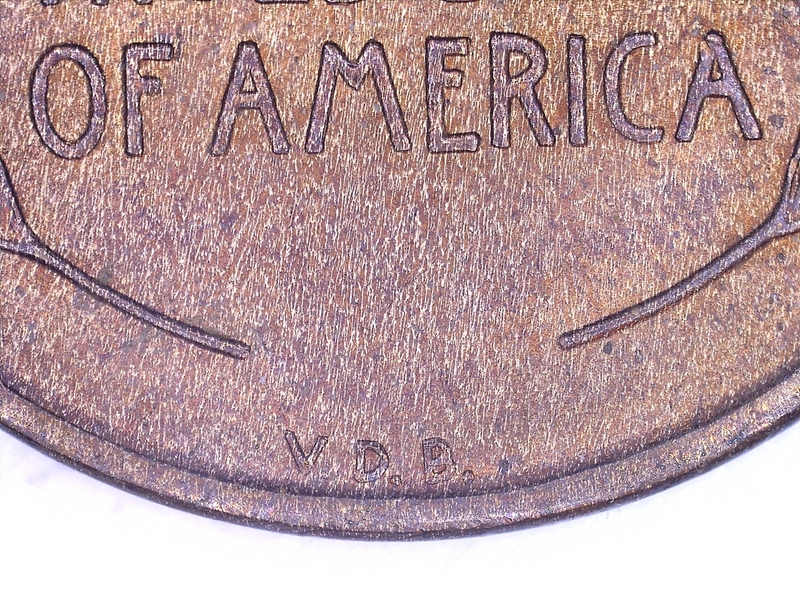 1 Cent "Lincoln - Wheat Ears Reverse"
Right facing profile of President Abraham Lincoln. 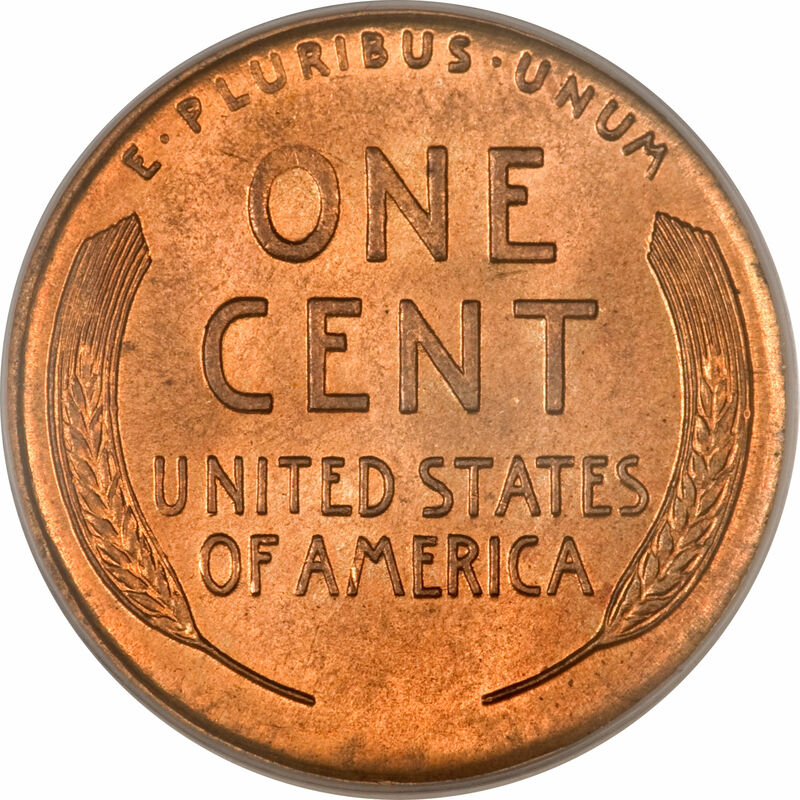 Two wheat ears surrounding lettering. 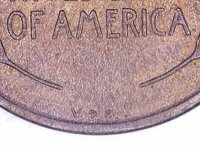 KM# 132 for 1909-1942 bronze issues, KM# 132a for 1943 zinc coated steel issues, and KM# A132 for 1944-1958 bronze issues resumed. 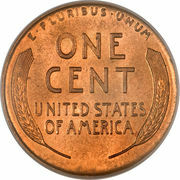 Issues from 1944 to 1946 used brass made from spent wartime shell casings which were composed of 70% copper and 30% zinc. As a consequence, such issues are made of 95% copper and 5% zinc. However, alloy resumed to pre-war composition after 1946, that is, bronze composed of 95% copper and 5% tin and zinc. 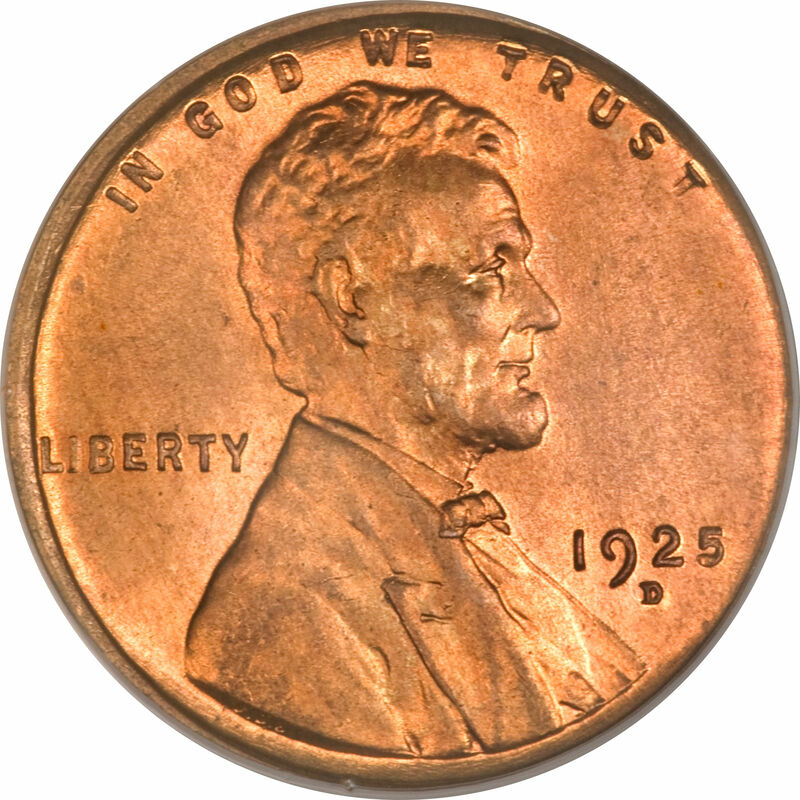 The 1943 bronze cent is a "Transitional Error" which occurred during the changeover from bronze to steel coated zinc. 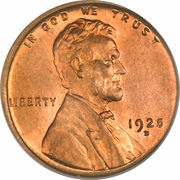 1909 S 484,000 with signature reverse "VDB"
Catalog › United States › 1 Cent "Lincoln - Wheat Ears Reverse"